Perhaps its the spring-like weather we’ve been having in Austin, but I’ve had a strong desire to wear bright pink nail polish. So when I was last at H-E-B, I combed the cosmetics aisle for some vibrant pink shades. 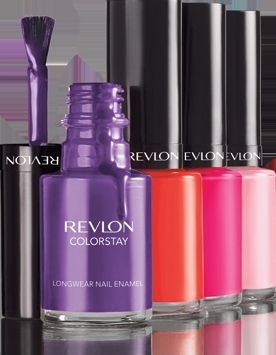 One contender I came across was Revlon’s new ColorStay Longwear Nail Enamel. I had seen an ad for this polish in InStyle magazine claiming “Gel-Like shine and up to 11 days of shatterproof color”, when worn with ColorStay base and top coats, per the fine print. It was $8/bottle, but there was a $1.50 off coupon, so it was worth a try. I’m happy to report that this may be my new go-to line of nail polish. The good: The shade I chose was Passionate Pink, a warm carnation pink, perfect for my wannabe-springtime mood. My polished nails were true to the color in the bottle. I already use Revlon base and top coats, although not from their ColorStay line, but I still had great lasting results. Instead of taking photos of my nails freshly manicured, the photo below shows my nails 10 days later. And I was really impressed that I didn’t have any chipping, just some wear on the tips of my fingers. The questionable: Maybe it’s because I didn’t use the ColorStay base and top coats, but I didn’t get 11 days of shatterproof wear out of this polish. I did have some shattering, but this polish definitely performed better than usual. I’d say after about six or seven days, I started getting the shatter marks you see in my photo above. But remember, NO CHIPPING. The verdict: I’m totally a fan of this new Revlon ColorStay polish. I don’t know that I’ve ever worn a nail polish that didn’t chip after 10 days. I’m really in awe. And there are a lot of really fun colors. In fact today, I went to Walgreens to buy a new shade (Rich Raspberry), but I had a really tough time deciding. They have lots of beautiful blue shades, and another called Marmalade that’s a dead ringer for Pantone’s color of the year, Tangerine Tango. Revlon, you’ve impressed me once again. 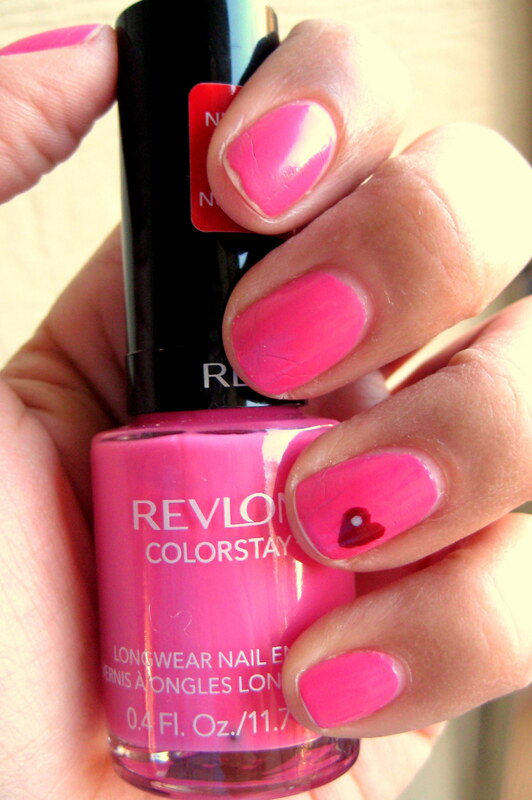 This entry was posted in Vanity and tagged Colorstay, Long-Wear, nail polish, pink, review, Revlon, shatterproof, spring, top rated on February 13, 2012 by jenn. They are only $4.97 at Walmart! !